The St Peters Community Centre is a modest, white washed concrete building, just big enough for two table tennis tables. The Saturday morning session is busy with about 20 youngsters, all training with and aspiring to be like their national stars, Angelisa and Andre, who are still teenagers themselves. Kevin Hope, the President of the Saint Kitts and Nevis table tennis association, was there. He explained: “Since the first Caribbean Junior Championships held in Saint Kitts and Nevis in 2009, Angelisa and Andre have competed at the national level and we have been able to push the progress of these two young athletes. Kevin also paid tribute to Laverne Merritt, who passed away on March 26th this year. He believes Laverne was a table tennis trailblazer in Saint Kitts and Nevis who went out into the communities to find and develop new talent. Coach Calvin Lake, 42, and 15-year-old T’Anje Johnson will make up the four person team at Glasgow 2014. But all expectations are on the siblings, as Kevin explained. “Angelisa and Andre are quite the pair – when you see them playing in the mixed doubles, that is when you will see where the passion lies. The family love, that they really push each other. 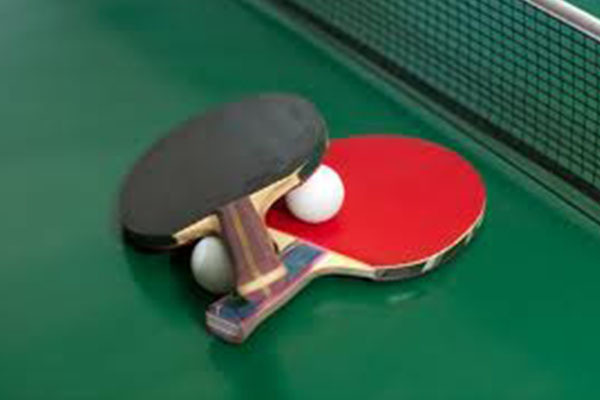 And in table tennis you need that partner to challenge you to be better. For all the family rivalry, Angelisa is glad to have her big brother with her. “It’s a family affair so I won’t be as nervous (going to Glasgow) as I would be if it was other players. When we play together, it was him normally winning, but now I give him some competition!